The next-generation Sonata will be inspired by the stunning Hyundai Le Fil Rouge concept. Last year, Hyundai lifted the wraps off the Le Fil Rouge concept, which was designed to preview a bold new design direction for Hyundai’s future models. 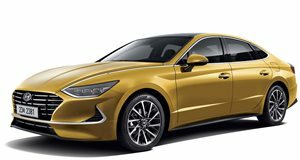 According to SangYup Lee, head of the Hyundai Global Design Center in Namyang, Korea, the next-generation Sonata will be getting a striking new design inspired by the Le Fil Rouge concept. Speaking to MotorTrend, SangYup Lee wants the new Sonata to create the same buzz as the 2011 model. "The new Sonata is quite challenging for us obviously just because we all know that market is shrinking and taken over by SUVs," he told the publication. 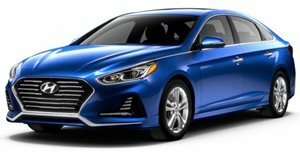 To help it stand out, the new Sonata will arrive as a four-door coupe instead of a traditional boxy sedan, with a progressive design and low roof profile. There will still be some recognizable Hyundai styling cues such as a hint of the cascading grille and the composite lens in the headlights, but the front face won’t be instantly recognizable as a Hyundai. Lee wants people to stop and take another look at the new Sonata and realize it’s a Hyundai. "It's almost like a four-door coupe style without compromising the usability inside," he added. "We will make big statements this year.” The automaker wants to ditch the Russian doll design of its current models and inject more emotion and desirability into its designs. In terms of powertrains, the report claims the Sonata’s current 1.6-liter turbocharged engine could be dropped in the new model, with the current model’s base 2.4-liter I-4 and 2.0-liter turbo-four likely to be offered instead. The six-speed automatic transmission could also be retired in favor of the current model’s eight-speed and seven-speed dual-clutch transmission options. Also expect hybrids and plug-in hybrid versions to be available. The 2020 Hyundai Sonata is expected to debut at the 2019 New York Auto Show in April before going on sale in the second half of this year. We’ll probably see some teaser photos of the new stylish sedan next month before its debut.